I think we can all agree that no one likes cleaning the toilet. Most people have to do a lot of scrubbing using a toilet brush to clean it and get rid of ugly brown rings or stains. 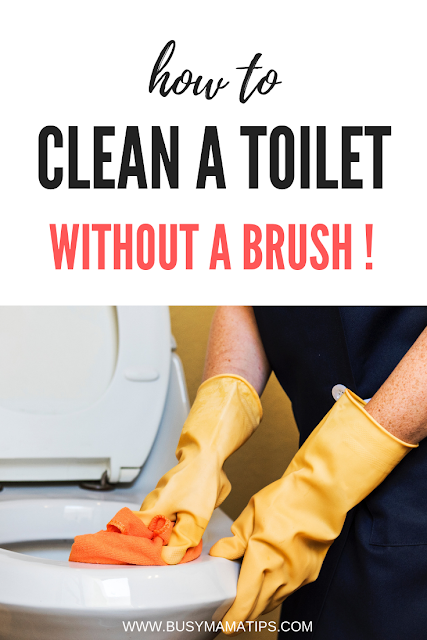 In this post I will explain how you can clean your toilet without using a brush. I will talk about a few different methods that you can try. It is worth mentioning that the best way to keep your toilet clean is to try and prevent it from getting very dirty. Leaving stains to accumulate makes it harder to clean later and the more you might need to have to scrub. Do you want to clean your toilet without touching it? Get some thick bleach! 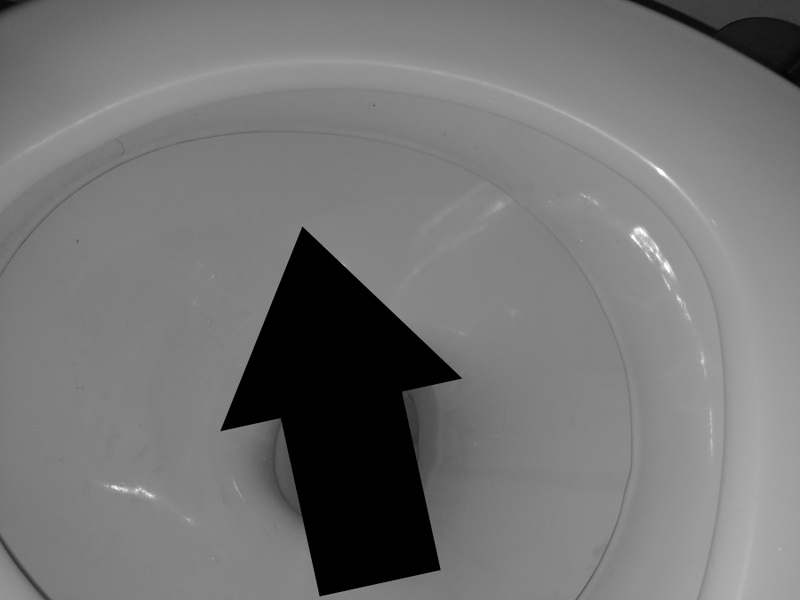 This simple methods works best if the main issue is stains or dirt at the bottom of the toilet bowl. What you could do is after you flush the toilet for the last time before you go to sleep, pour some bleach (about half a cup) in the bowl and leave it there over night. You will have a clean toilet in the morning. 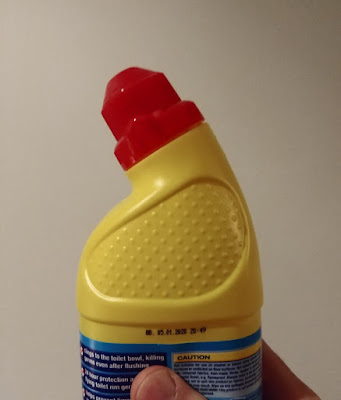 I have used this many times before but I know some people like to leave it a whole day when the stains are particularly bad. This obviously does not help much if you also need to clean the sides and the whole bowl and that is where the next few methods can be helpful. If you prefer to use bleach, you can still use dilute it with water and use a cloth or a sponge to clean the other parts or the toilet seat. Remember that bleach is a corrosive and an irritant. Avoid direct contact with skin and make sure you are wearing gloves. It can also irritate your eyes and lungs so make sure the area is well ventilated. Read the instructions on the bleach container and the safety precautions. Do not mix it with other chemicals. For the busy (or lazy) people, comes this simple but brilliant solution. It comes with an applicator that you use by squeezing it to stick some gel to the side of the toilet bowl. Each time you flush, it keeps your toilet clean and fresh. It also gives it a nice smell. It is a very similar idea to the clip-on type of cleaners but much more convenient. This cleaning gel works best if your toilet flushes using water coming from above and the sides. You should replace it every 1-2 weeks. This is actually another smart solution that saves you the hassle of scrubbing. All you need is to simply install Kaboom inside the tank and it will pump cleaning material via the filling mechanism every time you flush the toilet. It does not affect the inner parts of the toilet and is also safe to use in septic toilets. You will only need to replace it every 2-3 months depending on how frequently you use the toilet and how hard the water is in your area. It also leaves a fresh scent in the toilet. The system costs about $16 dollars and you will later need to buy refills, but, I would rather use it to clean the toilet without a brush than traditional scrubbing. There is also a very similar product which is the NeverScrub system, it is the same idea and price!. I have not used this myself but know friends who have used it. The concern that most people have is about damage to internal parts of the toilet but this has not happened with anyone I know. I left this one till the end because it is a bit different from the other ones. Technically, this "wand" is not a brush but you will still need to hold it to manually clean your toilet. The difference is that you attach a pad that already has a bleach based cleaning material on it. After scrubbing your toilet clean, you then throw away the pad. It comes with a package of 6 pads and you can buy more. I find that a nicer solution that having to keep the same brush next to your toilet until one day you realize how dirty it is and you have to replace it. There are other methods available online that include using homemade cleaning material with things like borax and baking soda but I have not used those before and to be honest I would be cautious about a) preparing chemicals myself and b)using those chemicals on my toilet or furniture, etc. With all the methods and products mentioned in this post, make sure you double check that it is safe to use on your toilet. Specially if you have any additional material or a slightly different toilet from the majority in your country. Also, be careful if you have a wooden toilet seat cover because most of these chemicals are designed for the toilet itself, which is made of porcelain. I hope you found this useful. Please let me know if you know other methods to clean a toilet without a brush or if you have any questions about it. Leave a comment if you like this post and share it, pin it if you think it would be useful for others. Hi! I'm Mennah. I am a working mother and I like writing about all things family and kids. I also like writing about lifestyle, and photography. I always try to find up to date evidence based information to help me as a parent as well as others. So, all information on this website are correct to the best of my knowledge but are not a substitute to seeking professional help. www.busymamatips.com is a participant in the Amazon Services LLC Associates Program, an affiliate advertising program designed to provide a means for sites to earn advertising fees by advertising and linking to Amazon.com or other Amazon sites such as amazon.co.uk, etc. As an Amazon Associate I earn from qualifying purchases. This does NOT affect product prices.